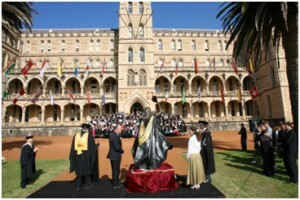 The historic campus of St Patrick’s Estate has been leased to the International College of Management, Sydney (ICMS) since 1996. The ICMS is a leading business school, offering a balance of management and practical training within a culture of innovation and entrepreneurialism. The College is a community of scholars, industry professionals and students working together to produce leaders in business, events, hospitality, international business, international tourism, property and sports management. ICMS’ close connections with industry and dedication to training students to be work-ready professionals, ensures that it is at the forefront of education in professional services management. The College attracts the brave and ambitious – students who are determined to succeed in the workforce as management leaders. 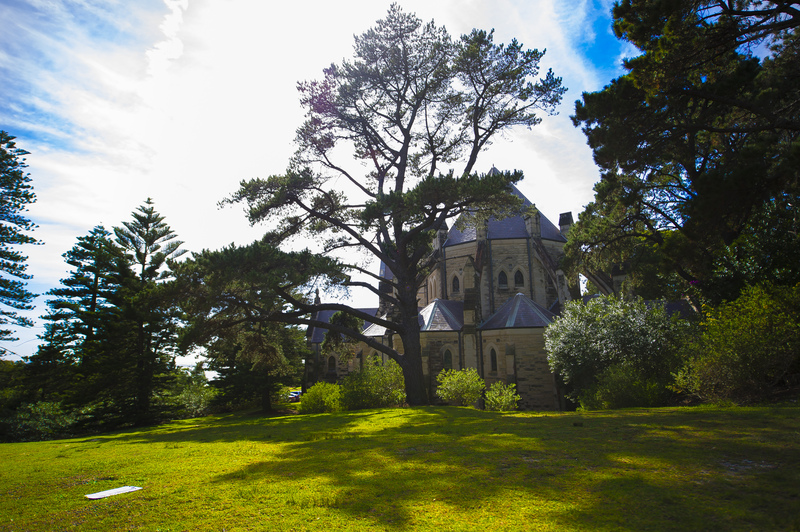 Students attend the stunning Manly campus from across the globe. This international learning environment adds a global context to the classroom experience, preparing students for future international careers. 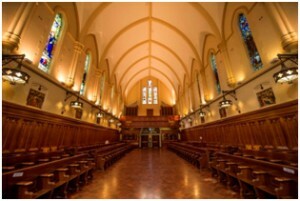 The Cardinal Cerretti Memorial Chapel is administered as a place of worship by the Catholic Archdiocese of Sydney. The Chapel is available for use for religious worship, for Catholic weddings, and on occasion, other suitable community activities that are compatible with its sacred character. Suitable activities include musical recitals and religious dramatic presentations. All bookings are to be made in writing addressed to the Chapel Manager. Bookings for weddings will be taken only up to 18 months in advance. While every effort will be made to honour bookings, the Archdiocese cannot take any responsibility if, for reasons outside its control, the Chapel is not available on a particular day or time notwithstanding an advance booking. When you select the date and time for your booking, please check these with other bookings on the Bookings Calendar to make sure your preferred date and time is still available. 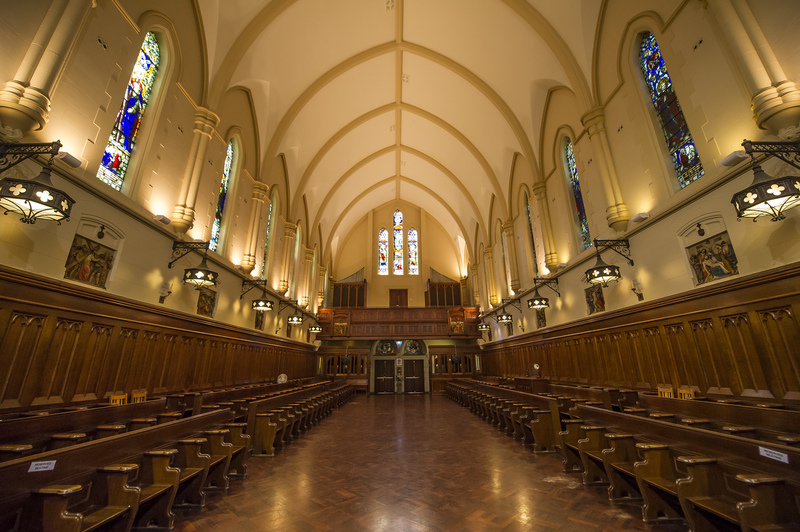 In considering use of the Chapel, please consider the guidelines for bookings and use. 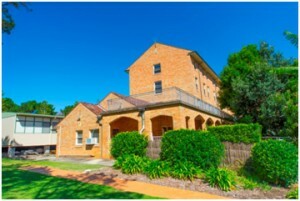 Bear Cottage, a hospice for children, is an initiative of The Children’s Hospital at Westmead, located in the grounds of the Estate adjacent to the Fairy Bower Road entrance. Designed by MSJ Architects, it was officially opened in 2001. The facility was established entirely through community support at a cost of $10 million. Bear Cottage is the only children’s hospice in NSW – a very special place dedicated to caring for children with life-limiting conditions. Families who care for a child with a life-limiting condition often do so around the clock for many years. Bear Cottage’s vision is to be as far removed from a hospital environment as possible, while still providing excellence in paediatric palliative care 24 hours a day, with access to some of the best medical resources in the world. From 1995 to 1997 various Development Applications for the residential development of four parcels of land zoned residential by Manly Council’s Local Environmental Plan (LEP) 1988 were approved. Cerretti Crescent was one such precinct and is a result of a joint development with Lend Lease Development Pty Limited comprising the construction of 44 apartments and 16 terrace homes and completed in 2007. The apartments include two designs, The Coast and The Edge, with two rows of more traditional terrace homes known as The Glade. Cerretti Crescent has been described as world class coastal living, located high on Eastern Hill in an idyllic and peaceful area, boasting panoramic views over the ocean and coastline, with easy access to Manly and Shelley Beaches as well as to the National Park of North Head, directly adjacent. From 1995 to 1997 various Development Applications for the residential development of four parcels of land zoned residential by Manly Council’s Local Environmental Plan (LEP) 1988 were approved. College Court and College Green were two such precincts and are a result of a joint development with Lend Lease Development Pty Limited comprising the construction of 18 dwellings and completed in 2002. Located just beneath the historic Moran House and Cerretti Chapel in a tranquil part of the Estate, these precincts showcase expansive open plan living, light filled living spaces and accommodation and is ideally located with only a few minutes’ walk to Shelly or Manly beaches and Manly Corso. From 1995 to 1997 various Development Applications for the residential development of four parcels of land zoned residential by Manly Council’s Local Environmental Plan (LEP) 1988 were approved. Montpelier was one such precinct and is a result of a joint development with Lend Lease Development Pty Limited comprising the construction of 26 dwellings, constructed in four stages and completed in 2014. Montpelier Place is located in a secluded, no-through road overlooking Shelly Beach comprising 19 freestanding houses and seven terraces which were designed and created to blend into the bushland within a sensitive ecosystem. 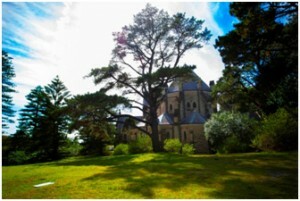 St Paul’s Catholic College is a boys’ high school administered by the Diocese of Broken Bay. 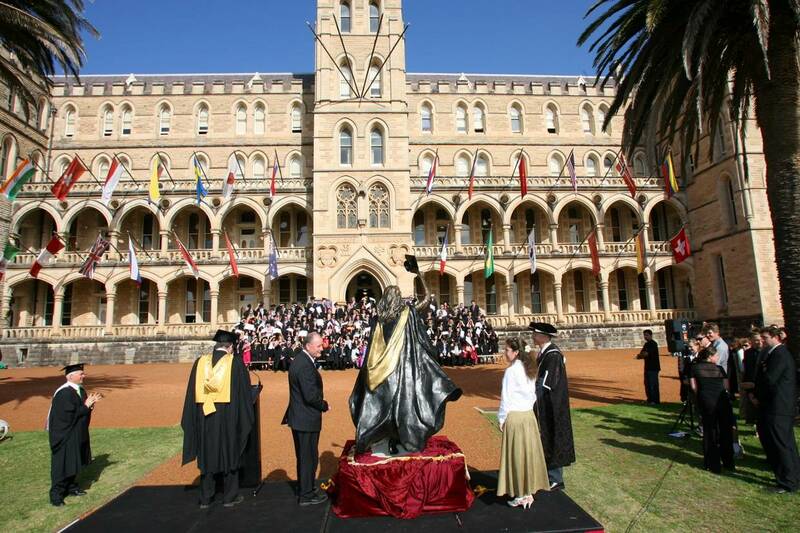 The College specifically serves the Catholic Parishes of Manly Freshwater, North Harbour, Warringah and The Lakes, but welcomes students outside the area and of all religious persuasions subject to the availability of places and Diocesan policy. The motto of St Paul’s is PRIMA PRIMUM – First Things First – and is a challenge to all members of the community of St Paul’s to properly arrange life’s priorities. 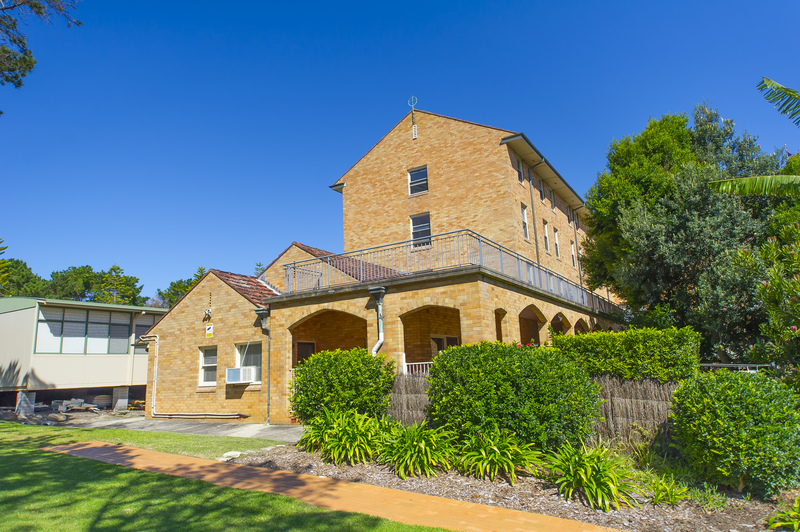 As a Catholic school in the Diocese of Broken Bay, St Paul’s exists to educate and form young men in Catholic discipleship – offering them experiences of following Jesus as members of the Catholic community. The part of the St Patrick’s Estate now known as Spring Cove Estate was once terraced with orchards, vegetable gardens and flower beds. Bounded by Sydney Harbour National Park, Spring Cove is a buffer zone between developed and undeveloped land. It calls for special consideration of the sensitive ecosystem and interaction between wildlife and residents. An interdisciplinary project team has taken a “minimum intervention” approach ensuring Spring Cove integrates within the ecosystem without upsetting its balance. In particular, natural foraging corridors and habitats are being regenerated and expanded to protect populations of endangered long-nosed bandicoots known to forage and shelter here and little penguins that feed on Spring Cove’s sea grasses and breed on the shore. Now set across more than seven acres of rare and pristine Sydney harbour front land, Spring Cove Estate is a place of true natural splendor. Its rich landscape of architecturally-designed eco-sensitive homes is setting new benchmarks in sustainable coastal design. A boutique collection of 17 houses, 16 apartments and five townhomes are discreetly located across a tiered coastal backdrop. Each spectacular home is designed to capture wonderful harbour and bush land views while seamlessly integrating with the natural environment. Once part of the historic Archbishop’s Residence garden estate, magnificent trees, now over a hundred years old, are still standing. Below is a small chain of secret beaches, secluded hideaways on the harbour. All around the homes, native trees blur the lines between the Estate’s grounds and the National Park that hugs its eastern border.